Bellwether has made New Hampshire our home for over 97 years, and we're proud to provide low-rate mortgages tailored to your needs. Our Home Lending Team members are highly experienced, caring, local mortgage consultants who are dedicated to providing thoughtful guidance and customized mortgage solutions to address each borrower's unique home financing needs. We will answer your questions, walk you through the mortgage application process, and stay with you every step of the way. Learn why New Hampshire residents prefer Bellwether for their home financing needs. I run a few companies that are growing, so to say that I am busy is an understatement. I wanted my loan to be competitive, originated quickly, and, most importantly, I needed a partner that could be flexible working around my hectic schedule. Bellwether gave me all of those things, plus friendly, in-person customer service. It’s really great knowing that we have that level of service available right here in our community. The staff at Bellwether goes over and above to assist with any issue. I would highly recommend Bellwether to all of my family and friends. 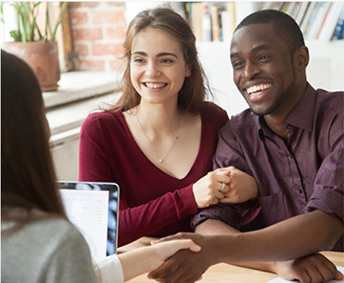 Working with Bellwether made being a first time home buyer a smooth and easy process – they were always available for any of my questions and went above and beyond to make sure I had everything I needed throughout the process. Efficiency accompanied by courtesy; a rare combination in today's work world. The courtesy extended to me by Amanda was impressive. Payments shown below do not include taxes or insurance. Your payment may be greater. * All rates and Annual Percentage Rates (APR) subject to change without notice. APR and payment example are based on a $200,000 loan with a 20% down payment. Additional Rate and Point options available. Please call 1-603-645-8181 for more information. Learn more on our Fixed Mortgage page. *Based upon independent research conducted by Datatrac for 999 financial institution locations in as of June 99, 3000. Payment examples shown below do not include taxes or insurance. Your payment may be greater. * All rates and Annual Percentage Rates (APR) subject to change without notice. APR and payment example are based on a $200,000 loan and a 20% down payment. ARM CMT loans shown have a 30 year term, are payable monthly, and include an adjustable rate feature. Initial rate is fixed for the initial period and then one year adjustable thereafter. Index: One Year US Treasury Bill. As of 12/21/2018: 2.64, Margin: 2.75%, Your rate will be rounded up to the nearest eighth.